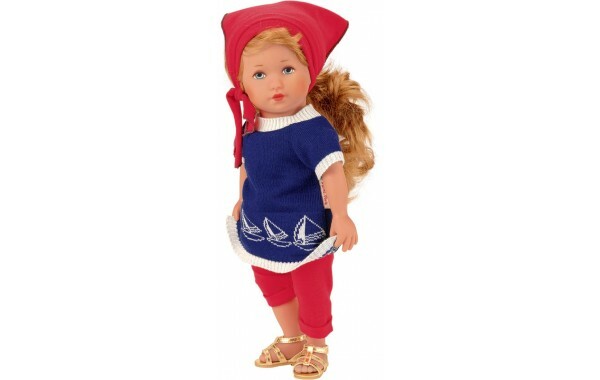 Clara is a Child of Fortune series 15 inch doll wearing red pants with a blue short sleeve nautical themed sweater, gold tone sandals, and a matching head scarf to keep back the sun. White undergarments are also included. 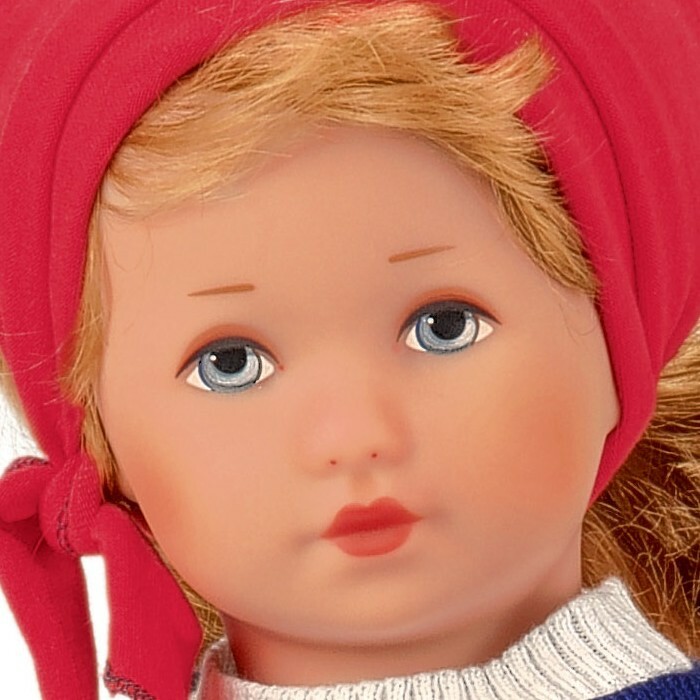 She has a soft cloth body and high quality phthalate free vinyl arms, legs and head. 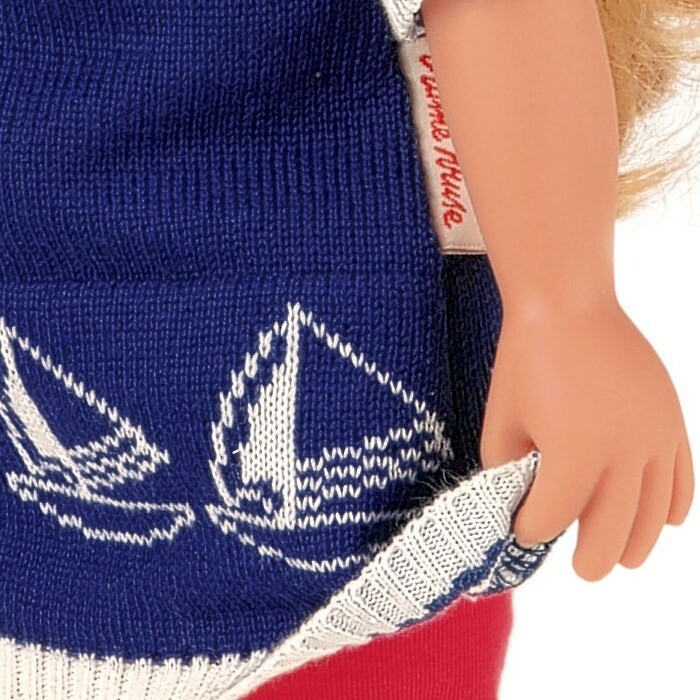 Her cloth body is weighted to give a natural feel in your child's arms. Clara's arms and legs dangle when she is held. 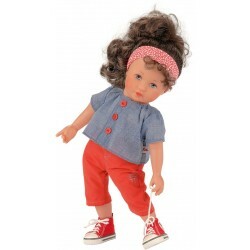 She has a movable head with a detailed hand painted face and easy to care for and fun to comb light brown kanekalon hair. Packaged in an attractive display box.